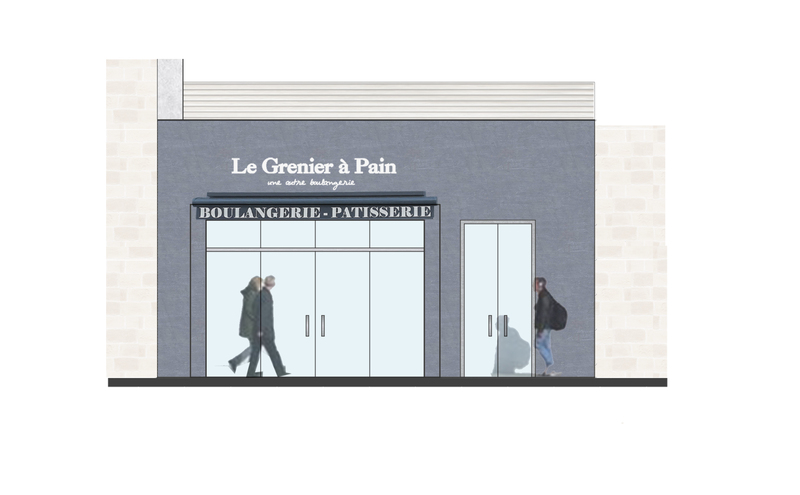 Once a run-down, storage warehouse in the middle of the industrial zone of Qormi, the site has been newly refurbished as an fine bakery and patisserie called Le Grenier à Pain, a well-known franchise in the heart of Paris. 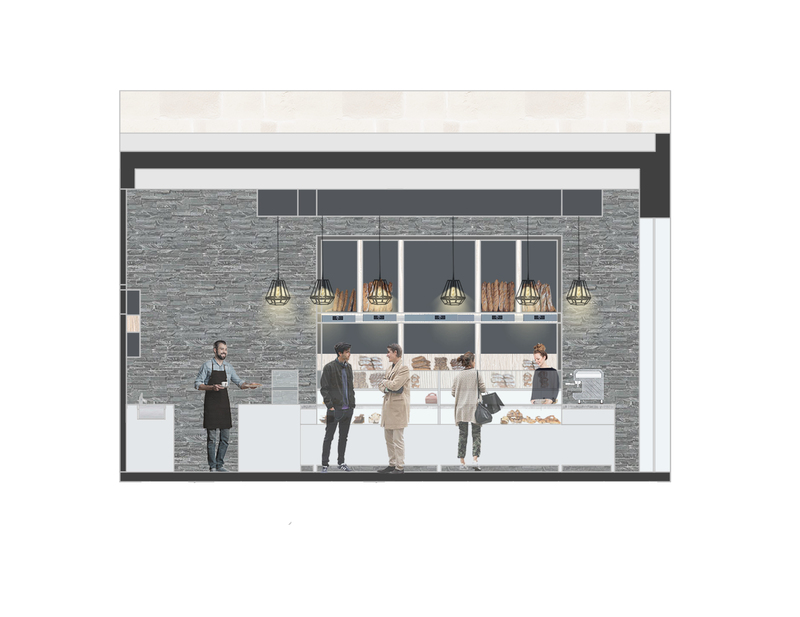 The main challenge presented by this project was that the building had to be designed as a system, that effectively goes through the entire process of making bread, pasties and baked goods which will eventually be sold at the front of the establishment. Hence, a petit but elegant shop welcomes the customers as their visual stimuli are engaged by the fresh products available for sale, while their sense of smell is tingled by the pleasurable aromas of freshly baked bread. The customers need only imagine what a bakery consists of behind the doors of the front shop, as skilled craftspersons and pattiseuries take orders to produce their goods in the confectionary. Once complete, they shift towards the ovens where they begin to bake before they are essentially finished for the customers. Finally, the baked goods are rushed through the entire establishment to the order-picking area where the customers are greeted to hot, fresh bread, pastries and croissants. In order to function at its maximum, the bakery must work like a well-oiled machine, hence the meticulous design and placement of each individual apparatus was key to ensure that each item is prepared in the correct manner.